Power shortages in Dutch greenhouse horticulturists: Waiting another five years for a solution? Dozens of greenhouse horticulture businesses suffer from power shortages in their greenhouses. The demand for electricity from greenhouse horticulturists has risen exponentially in recent years. This makes that Distribution Network Operators (DNOs) can’t always meet the demand. For example, there are farmers who do have a connection, but don’t always receive sufficient electricity. The entrepreneurs increasingly hear a ‘no’ from DNOs. Problems arise mainly when they want to expand their business or make them more sustainable and replace gas powered components with electric ones. Greenhouse horticulture in the Netherlands is worried and wants the electricity network to be expanded as quickly as possible, but that’s not easy. According to ‘Glastuinbouw Nederland’, more than 50 entrepreneurs experience power difficulties throughout the country. Currently there are about 3000 greenhouse horticulture locations in the Netherlands. ‘Glastuinbouw Nederland’ does not have exact figures of new businesses, “but it will be more than a few dozen locations given the favourable economy”. An average greenhouse consumes as much electricity per year as about 400 households; approximately 1,600,000 kWh. According to greenhouse grower Van Wijk; DNO’s from the Netherlands could have foreseen that the demand for electricity would increase. These certain locations in the province of Gelderland have never been designated as a development area for greenhouse horticulture. This is confirmed by John Rocks, horticultural project manager of the province of Gelderland. He states that Alliander should have made the call “when it appeared that the plans to make the sector more sustainable are not feasible with the current electricity network”. Adapting the current infrastructure, that greenhouse growers ask for, requires a lot from the electricity grid. An additional problem is that more and more people in the Netherlands are installing solar panels on their roofs. The power that these produce is returned to the grid. But this grid is already overloaded. Especially in the countryside, the return of electricity regularly blocks. The grid operators do not have sufficient capacity to transport electricity from the solar panels or wind turbines, but also to supply electricity to large-scale users such as the greenhouse horticulture sector. 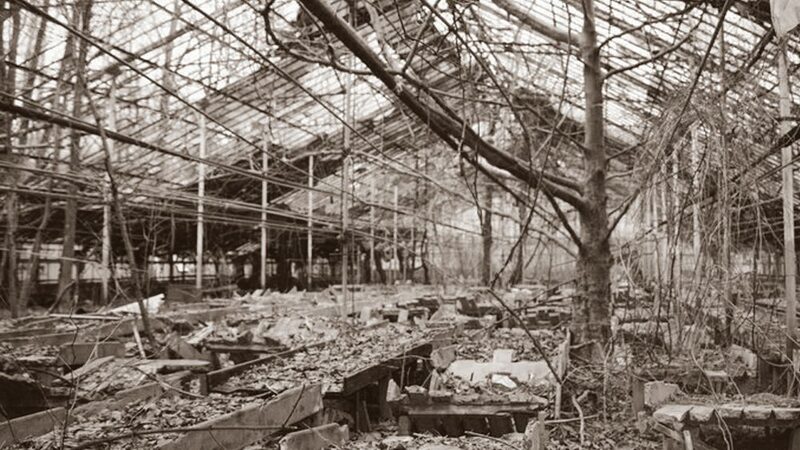 The capacity problems of greenhouse horticulturalists therefor lead to power shortages. Alliander is working on temporary solutions, for example by giving entrepreneurs a connection, but not with full capacity. The entrepreneurs do not sit still. Some have chosen to place aggregates (which are often gas powered) in order to have sufficient power security. In the Netherlands, Tennet is the national grid operator, it transports electricity from the power plant to the high-voltage grid. Organizations such as Enexis, Alliander and Stedin are the regional grid operators. They ensure that the electricity reaches the residents and companies via distribution stations. Renewable microgrids could be realized to keep all electricity locally so the already installed network will not be overcharged easily. In this way the grid is relieved from the high demands as well as the return of electricity. The combination of renewable energy sources could generate sufficient electricity for a whole region. Communities can become completely independent from energy generation, which means that they do no longer depend on the unreliable central grids. Local energy production requires that producers and consumers treat each other neatly and let the common interest be primal to self-interest. This brings along many benefits to local communities. By generating all the energy in a renewable way, the costs of the, now often expensive price of fossil fuel-fired, generated electricity will drop significantly. The advantage of these initiatives to generate local energy is that consumers become co-producers. Many people already install solar panels on their own roof and often there is still some space left to provide the neighbours with some clean electricity. When there is not enough space within urbanized areas, farmers or other land owners can also place wind turbines nearby. Want to find out what solution is best fit for your scenario? Are you curious whether this method can help you to make your energy supply ‘green’, more stable and cheaper? Just contact us, we would be happy to help you and to analyze which combination of energy sources suits your situation best. https://windenergysolutions.nl/wp-content/uploads/2019/03/abandonedgreenhouse.jpg 562 1000 Gerben Lof https://windenergysolutions.nl/wp-content/uploads/2018/12/WES-logo-RGB-Profile-180x180.png Gerben Lof2019-03-14 14:51:312019-03-28 17:39:21Power shortages in Dutch greenhouse horticulturists: Waiting another five years for a solution?